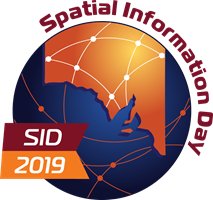 Spatial Information Day (SID) and the Asia-Pacific Spatial Excellence Awards South Australia (APSEA-SA) are South Australia’s premier event of the year for the geospatial industry. Join us on Friday, 25th October 2019 at the Adelaide Convention Centre to learn the latest applications, theories and techniques being applied in surveying, remote sensing and geographic information systems (GIS). Full details are available on the SID2019 website.